“You can reach the top like us” was the message from leading women scientists and engineers to local school girls. Inspirational young women working in science, technology, engineering and maths came to Crosby to inspire local girl students that they too could reach the top in scientific, technological, maths and engineering careers. The speakers included leading engineers, medical scientists, a high-flying car industry apprentice and environmental experts. Almost 100 girl students from seven local schools in Crosby and Formby attended the STEM conference. The aim was to open the students’ eyes to the exciting job opportunities awaiting them in career paths which girl students do not always consider as a career. Speakers from some of the region’s biggest employers shared their stories on how they got into successful careers. They included biomedical scientists from the Royal Liverpool University Hospital and Alder Hey plus civil engineers and environmental consultants. The students were able to join in interactive workshops with the experts, learning more about their field. Some got the chance to ‘fire rockets’. One of the speakers was Jaguar Land Rover (JLR) higher apprentice Danielle Flynn who works at the company’s Halewood operation. She is studying Applied Engineering part-time at the University of Warwick alongside working in the Body Shop Standards and Controls department. Danielle has been a STEM ambassador for three years and is holder of two Apprentice of the Year awards. 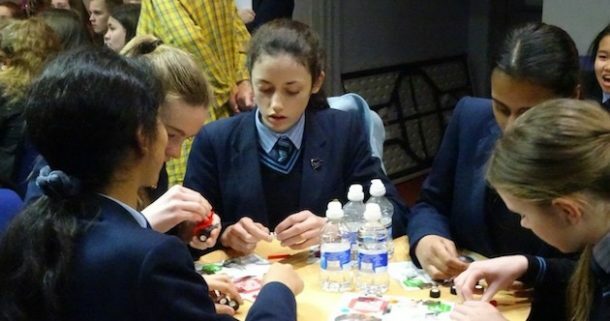 JLR also provided two interactive workshops for the girls to experience engineering first-hand. At the end of the conference, many students said their minds had been opened to careers they had not thought of before and that some would now consider careers in STEM areas.